This rich tasting dessert soup boasts the perfect combination of pumpkin with a sweet blend of brown sugar and spices for a unique twist to a traditional favorite. ground cinnamon	 1 1/2 tbsp. ground white pepper	 1 tsp. 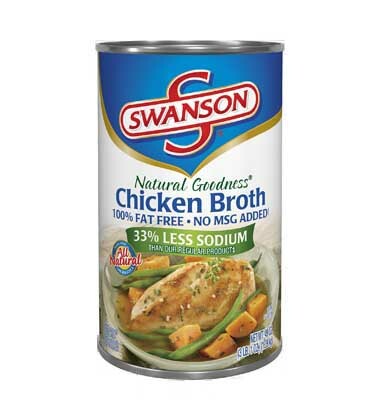 Swanson® Natural Goodness - Chicken Broth is full of rich chicken flavor but has 1/3 less sodium than our regular broth and is 100% fat free. 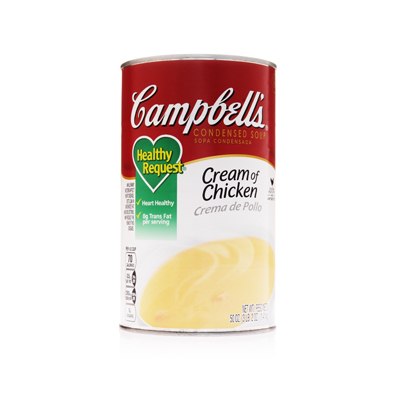 •This soup is part of our Wellness Collection. 1. In large saucepot or stock pot heat oil over medium-high heat; add onions and sauté 5 minutes, stirring often, until softened and beginning to turn golden. 2. Stir in cinnamon, nutmeg and pepper and cook 30 seconds. 3. Pour in Broth and water and bring to a simmer. Stir in pumpkin puree and honey and return to a simmer. 4. Add Soup to the hot mixture and whisk together and return to a simmer. 5. Stir in half & half and return to a simmer; cook 3 minutes, stirring often. CCP: Heat to an internal temperature of 165°F. or higher for 15 seconds. CCP: Hold hot at 140°F or higher for service. 6. In a bowl whisk yogurt until smooth and spoon into a squirt bottle equipped with a pointed tip. 7. For Each Serving: Ladle 1 cup hot soup into a soup bowl or plate and squeeze 1 1/2 Tbsp. yogurt over top of soup to garnish. Serve while hot.